This picture is a “mizrach” – a marker for the Eastern wall of a house, denoting the direction of Jerusalem. The Hebrew word is resting on a stone wall, to evoke the Old City. Above it, the design explodes into exhuberance. 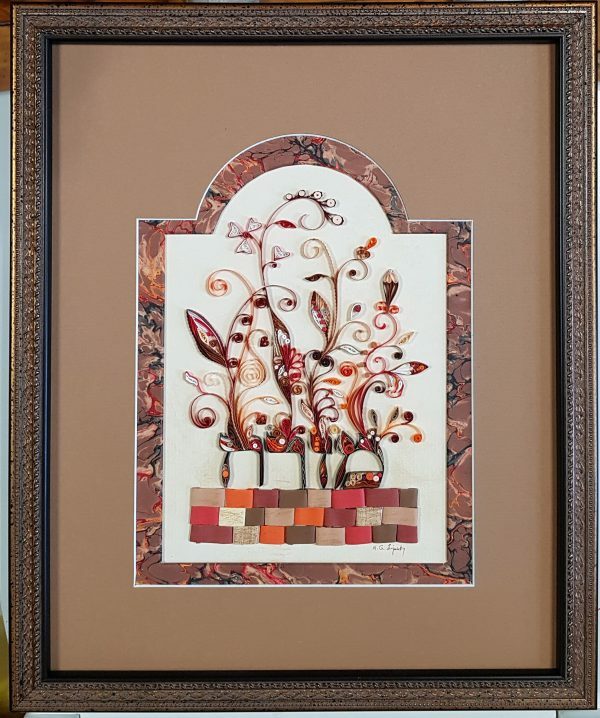 It is all made with quilling. The inner mat is wrapped with marbleized paper.